Cat’s Pride Natural Multi-Cat Scoop cat litter is made with 100% natural odor eliminators, so it’s tough on odors yet safe and gentle for your cats. This hard clumping, low dust formula is hypoallergenic and contains absolutely no perfumes or dyes, so it’s perfect for sensitive or allergic cats and owners. And it’s 50% lighter than other traditional heavy scoopable litters. Cat’s Pride Natural Scoop is rated 4.4 out of 5 by 69. Rated 5 out of 5 by CatMomBoston from Original Natural Discontinued?! So sad to see that the original Natural Unscented hypoallergenic low dust formula 20 pound jugs have been discontinued. I was getting it from Chewy, after they stopped carrying at my local grocery store, but Chewy just informed me that they no longer carry it. We have previously tried the natural light weight formula, but it’s just not the same as the original formula. The granuals in the natural lightweight version are larger and it seems to give off more dust too. Please bring back the original formula! Rated 5 out of 5 by Suz27 from WHY have you discontinued this litter???? Been using this for years. WHY would you discontinue this litter???? Rated 5 out of 5 by kathyfla from Discontinued? The regular 20-lb jug is no longer on the grocery shelves and not available at my usual online retailers. How disappointing! I tried the lightweight before and the cats and I hated it. Even with the issues I have with my back, I prefer and buy the Cat's Pride Natural Regular litter. If you're discontinuing it because of weight, why not just make it 14-lbs like other companies do with their non-lightweight litter? If Cat's Pride Natural (non-lightweight) litter has been discontinued, then I am no longer a Cat's Pride customer. With 23 indoor cats, I do go through a lot of litter each month. Rated 5 out of 5 by JuliaDream from Great Litter! This is my favorite litter and wouldn't use anything else! The animal rescue organization at which I volunteer also loves this litter. It helps cut down on odor and is very scoopable. Great litter! Rated 5 out of 5 by madeline from Best Litter; our cat refuses to go in other litter Our cat has been using Cat's Pride Natural for many years now. We are looking forward to the Natural now coming in lightweight! Once we tried a corn litter for her. She looked at us as if to say no thank you, that is not cat litter. She refused to use the box all day, until we gave her back her Cat's Pride Natural cat litter. We have not tried any other litter since the one experiment! And now that Cat's Pride is the Katherine Heigl approved litter, what more do we need to know. This litter is four paws, and one tail, up! Rated 5 out of 5 by AzCat from Low Dust, NO Scent, Clumps Great! This litter is getting difficult to find. I buy every jug on the shelves, when I go to the store...if there are any. I REALLY hope that you aren't discontinuing it. I have tried your others, but they just don't compare. If it does go away, Precious Cat Litter will be my "go to" litter. Rated 5 out of 5 by DMM in FL from This is the best! Please bring this back to Publix in south Florida! They are only carrying the fresh and light version and my apologies for bashing that one, but it's awful! I can't find this version anywhere except amazon or walmart for $15 a jug! That's insane! Thank you. Rated 5 out of 5 by lktskate from A Godsend I have been using this litter since I discovered it. I asked my local grocery store to stock it and they do. I like a fresh looking and dust free litter. You can't find better than this litter. Why are you alienating/losing customers by changing Cat's Pride Natural, the best litter ever? If Publix gets the new lightweight Natural Saturday Aug 18th, I'll try it, but I can't constantly keep switching 6 cat's litter. I'm 61 it's not too heavy! This is a question for the company personnel...do you even have cats? I can't believe you would change a perfect product. It's difficult to find the older version of Natural Scoopable. It was by far the best I ever used. The lightweight version is WORSE! I wrote a review today and it was responded to. That was great until I got a message to call a number that told me it was their 'overflow' message place and they couldn't respond as requested. IMO, this company doesn't care what consumers have to say. Based on the other comments, I'm not alone in this thought. So sad...I was really pleased before they changed their product. And hey, if the only reason they changed is to accommodate a lightweight public...I'd love to know what they now think. I'd rather lug 20 pounds of a good product than 10 pounds of a bad product. Is this product being phased out. I can no longer find it in my area. The real problem is Cats Pride has decided to double the price by no longer offering the Natural in the 20 pound container..... They dropped it down to 10 pounds and kept the same price..... That lightweight litter is junk and I always got a kick out of that ridiculous marketing gimmick of you get 50% more litter when you were actually getting 50% less..... I have used this litter for years with many many cats but now I have to find another product because I refuse to support this company any longer. 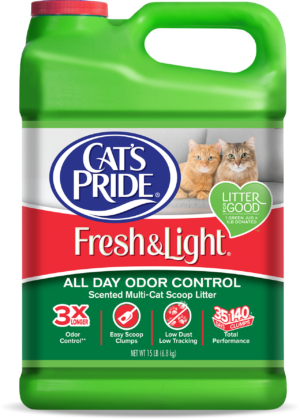 I just discovered Cat's Pride Natural Unscented litter, and love it because it is low dust and good clumping. However, now I can't find it, and it isn't on your website. Did the Natural Lightweight replace it? This version is much dustier, I will not buy. 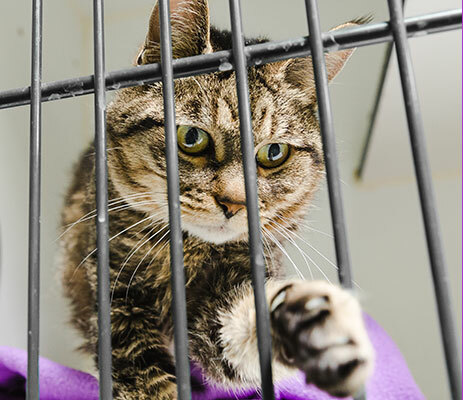 Are your products sold at local pet stores? We greatly appreciate you feedback and inquiry regarding our Cat's Pride&reg; Fresh &amp; Light&reg; 100% recycled paper litter. Unfortunately, our paper litter products were discontinued a few years ago and no longer available in retail stores. If you would like coupons to try our current lightweight litters, please let us know your postal mailing address. Contact us at : 1-800-645-3741. Your feedback and continued support are very important to us..